16 Regiments including reserve regiments and those undertaking specialist duties such as electronic warfare. Royal Signals squadrons Include independent specialist squadrons. From ultra secure cyber to stately ceremonial, modern day Royal Signals troops, squadrons and regiments play a vital role in keeping the country safe and in touch. And, with online deemed the new frontline, they’re always at the heart of the action. That’s why no visit to the museum is complete without a look at the Regiments and their roles – past present and future. See and experience displays from past and current regiments. The museum has a wide range of equipment and displays from an assortment of Regiments covering history, heritage and the very latest in ultra-sophisticated communications for you to explore. Regimental displays at the museum vary and are changed and updated on a rolling programme. Not all the regiments listed below have exhibits in the museum at any given time. Additionally there are displays from former regiments which have either disbanded or amalgamated to form new regiments. 8 percent of The British Army, approximately 8,000 full-time soldiers and several thousand part-time reserve soldiers, belong to The Royal Corps of Signals. The Corps is responsible for ensuring the Army can keep in touch in an efficient and highly secure way, mainly in deployable situations. The importance of what the Royal Signals do should not be underestimated. On operations, Royal Signals units provide the wheeled and armoured vehicles on which field headquarters are based (many of these can be seen in the museum). At the beginning of a battle and throughout, they are responsible for the reconnaissance and tactical movement of the Headquarters, and ensuring they remain hidden from the enemy – on the ground, over the air waves and in cyber space. In battles soldiers from The Corps often lead the way, providing not just the communications equipment but all the networks and systems necessary to ensure that battle commanders can talk to each other and continue to direct the battle. Of course it’s not just on the battlefield where communications are necessary. The Corps support special or unusual events that require a military presence – such as The Commonwealth Games, floods and even state funerals. 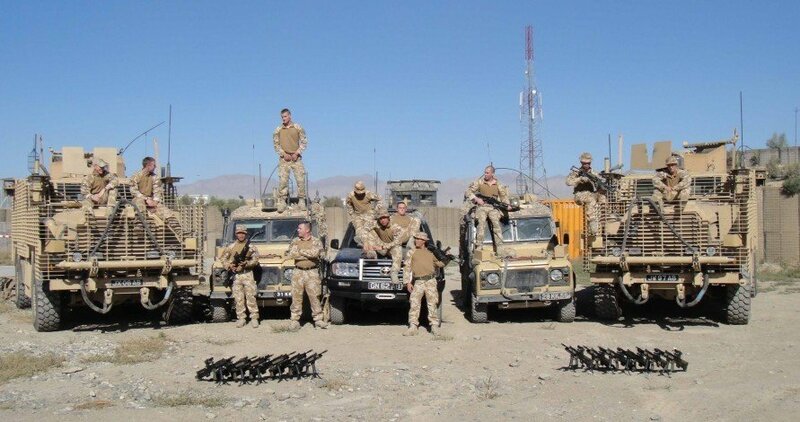 7 Signal Group: Reaction Forces – travelling the world, working on operations whenever and wherever they are needed. 2 Signal Group: UK Resilience and Adaptable Forces – keeping you safe in the UK. 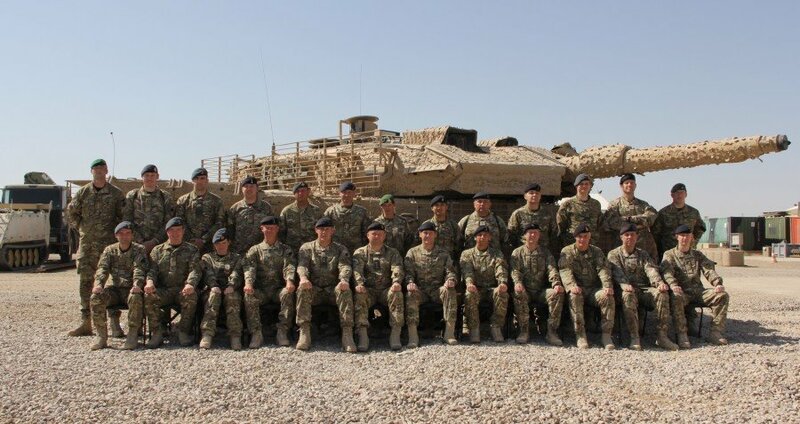 1 Signal Regiment (1SR) – Now based in Stafford, but going on overseas missions when required, 1SR provide flexible communications support to the Armoured Infantry (AI) Brigades (tanks) – enabling them to communicate speedily and securely, as and when required. 2 Signal Regiment (2SR) – Based in York 2SR support the Rapid Reaction forces and deploy on operations when needed. In recent times this has included Op Herrick – the operational name for the conflict in Afghanistan. 10 Signal Regiment (10SR) – As well as undertaking some ceremonial duties, 10 SR support Army Headquarters and UK operations. Computer buffs will pleased to hear they also provide specialist services such as Information and Communication Services (ICS) and Information Assurance (IA). Importantly they have a special role in providing communications for electronic counter measures (Force Protection). 11 Royal School of Signals (RSS) Signal Regiment – Following basic training, the second phase of Army training takes places within the Corps and Regiments. Recruits, both Officers and other ranks, who’ve opted to join The Royal Signals can expect to pass through 11SR. Here they learn all about their roles and get specialist trade training. Newly Commissioned Officers begin their leadership training via the Troop Commander Course. Other ranks can opt for a variety of trades, some directly linked to satellites, communications and computers but others choose trades such as Storeman which don’t require the same technical skills but are nevertheless necessary and important. 14 Signal Regiment (EW) – 14SR specialise in Electronic Warfare (EW) using the electromagnetic spectrum to find, exploit, impede or attack the enemy. 18 (UKSF) Signal Regiment – have the exciting, highly specialised task of providing signals intelligence and electronic intelligence and ensuring safe, secure communications and security during special forces missions. 21 Signal Regiment (21SR) – No longer Air Support – 21SR, just like 1SR, 2SR and 16 SR are at the forefront of the action – providing tactical and operational support whenever and wherever it is needed. 32 Signal Regiment – Based in Scotland and Northern Ireland the regiment support UK operations. This has included special events such as The 2014 Commonwealth Games held in Glasgow. 37 Signal Regiment – Stretching from Darlington to Birmingham via Leeds, Sheffield, Nottingham and Redditch 37 SR provides UK wide ICS capability. When England flooded 37 SR were one of the regiments helping to keep everyone in touch so the mass clear-up could begin. 39 Signal Regiment – Similar to 32SR and 37SR but based in the south stretching from Cardiff to Windsor via Bristol and Bath. 71 Signal Regiment – Based in and around London, among other things they share ceremonial duties with 10 SR, this can include being on parade for HM The Queen.